Jeanne Lewis, Co-founder @capsureit, founder @creativebug, bay area mom, designer, founder, volleyball addict. If you’re getting used to swiping your phone for updates on Facebook or Twitter, it should come as no surprise that around 30 percent of all internet time is spent on social media. Teenagers now spend up to nine hours a day on social platforms (where do they find the time, right?) and as a society, we’re becoming increasingly addicted. 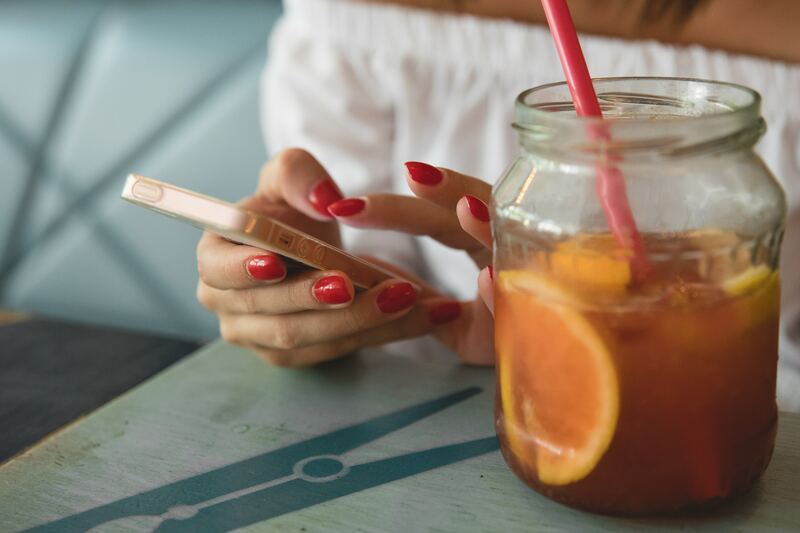 If the latest figures set off alarm bells, recent studies about the relationship between social media and mental health will do nothing to ease your concerns. According to a survey on 1,500 14-to-24-year-olds, popular platforms, including Facebook, Snapchat and Twitter, are harming young people’s mental health. Instagram was found to be the biggest culprit, serving to exacerbate feelings of inadequacy and anxiety in its users. So, what damage is actually being done? Apparently, concerns about body image, cyberbullying and feelings of loneliness are among the worst complaints. Interestingly, of the five main platforms surveyed, YouTube was judged to have no negative impact whatsoever, other than hindering sleep. These latest studies only add fuel to the flames of a growing body of concern from politicians, parents, and health organizations about the effect of so-called “sexting,” cyberbullying and even suicides by Russian teenagers, playing the infamous “Blue Whale” social media game. Chief Executive of the Royal Society for Public Health in the UK, Shirley Cramer, said that it was notable that Snapchat and Instagram were ranked as the worst perpetrators of negative mental health and well-being, presumably due to their “very image-focused” platforms. Some upsides were noted by the survey participants, however, including emotional support and self-expression. So, perhaps these are areas to build on as we try to incorporate technology responsibly into our children’s lives. According to a report by Psychology Today, Facebook is responsible for provoking feelings of jealousy in adults as well, which can lead to depression. However, this mainly occurs when the platform is used as a comparison tool. We’ve all felt pangs of envy on a bad day when our own lives seem mundane or desperate and we’re faced with glamorous photos of old classmates doing exciting things. Yet, social media can also be a positive thing, if we learn to use it responsibly. The report suggests that if a Facebook post causes you to feel depressed, you can act immediately by deactivating your account, unfollowing your “happiest friends,” or turning your computer off. Also helpful is to keep in mind that Facebook isn’t a representation of reality. People don’t post their worst moments on there or photos of themselves looking ghastly. Deactivating your account might seem a little extreme. If we work on the positives that social media brings, we can use it in a way that aligns with our mental health and wellbeing. The first step towards using social media responsibly is to stop comparing yourself to others. As Psychology Today points out, “Stop torturing yourself by comparing your life with everyone else’s positively biased representations of theirs.” You should be able to separate the photoshopped moments from reality and understand that you’re only getting a slice of your friends’ lives. You have no idea what’s really going on under the surface. Moreover, comparing yourself to others is not a healthy practice online or in real life. You don’t have the same experiences, lifestyle, challenges, or backgrounds. So stop doing it, and, if you’re feeling particularly vulnerable, stay away from social media until your gloomy outlook has passed. Platforms like Capsure that have greater privacy integrated and allow you to share content with select groups are better than mainstream, broadcast posting, and limit damage control. Start scanning for updates nine hours a day and pretty soon you’ll rack up a third of your life perusing friends on social media. Social media can be incredibly positive when we use it well; allowing us to keep up with our friends, organize events, and even learn about world news. But be mindful about your social media usage by setting times to check your preferred platform and respecting the limits you impose. Before you leap to react to a post that angers you, or share a negative experience you had at work or out on a date, try taking a deep breath first. Maybe put your phone to one side to quickly meditate about your intentions. Do you want to cause a backlash of comments, or publicly name and shame? Do you want to overshare and say something you may regret later? Are you sure that the intended post will make you feel better? Keeping yourself in check for even a few seconds can save you from an unnecessary spiral of depression and unwanted reactions. When you learn to really think about what you’re posting and limiting the time you spend on social media, it can have a positive effect on your mental health. You can use it for its designated purpose, to reconnect, share positivity and act as a thread with the past. So learn which platforms serve what purpose and avoid posting when you’re not in the mood. This will allow you to celebrate the positive events going on in friends lives and enjoy announcing your latest news as well.